Fairfield Inn and Suites offers two meeting areas, the Executive Board Room and the Meeting Room. 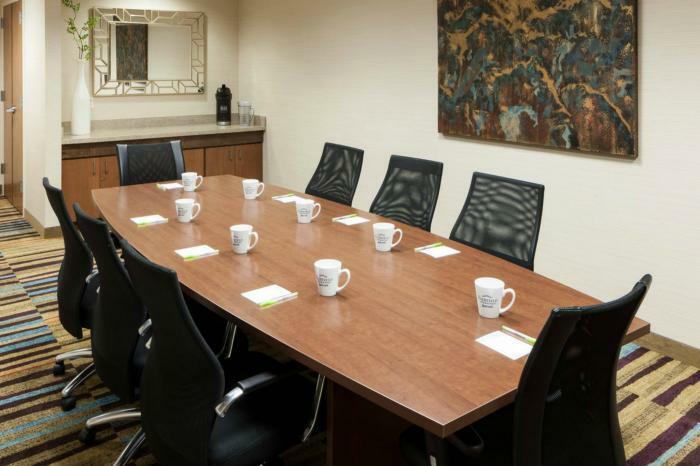 Complimentary meeting equipment includes AV equipment, a film projector, an LCD projector, an overhead projector, and a TV, and high-speed Internet access. Their 24-hour business center also offers access to computers and printers.